New Orleans, Louisiana is one of the most vibrant and festive cities in the United States. The city's history, food, music and overall culture have been heavily influenced by places such as Africa, the Caribbean and Europe. It is well known for its jambalaya (a popular Caribbean dish consisting of meat, vegetables and rice), world class jazz music, and festivals such as Mardi Gras. It is also the largest city in Louisiana and has one of the most important ports in the nation. New Orleans Fair Grounds – Established in 1852, The New Orleans Fair Grounds is the home of the Louisiana Derby, where horses race and spectators gamble. If you have ever seen the film "Seabiscuit" (2003), then you might be familiar with horseracing, but this is your chance to see the race live. Within the facilities, there are also slot machines and video poker machines. General admission is free daily except for Starlight Racing and Graded Stakes Days throughout the year in which admission is $5. New Orleans Jazz National Historic Park- Located near the French Quarter of New Orleans, this park features events almost daily, including concerts with live music, jazz, yoga, and line dancing. You can even take an independent jazz history walking tour by either downloading an mp3 audio tour or picking up a brochure at the visitor's center. All events are free and open to the public. City Park – There are plenty of sites to visit and activities to partake in at this 1,300-acre park. You can stroll by the Botanical Garden and smell the fresh flowers or feel like a kid again at the Carousel Gardens Amusement Park. If you want to be more active for the day, you can play tennis at one of the 26 tennis courts or take your swing at the park's golf course. Be sure to check the calendar for special events like the Summer Series 5k race or Thursdays at Twilight, which features live music. Admission: free. Streetcar Ride – If you are exploring New Orleans, why not do so on a vintage electric rail streetcar? The four streetcar lines are St. Charles, Canal Street, Riverfront, and Loyola/UPT, which all start in downtown New Orleans and take you to various destinations in the city. Streetcars have been navigating New Orleans since the early 1800s. The cost of a single ride is $1.25; 1-day unlimited tickets are $3; 3-day unlimited tickets are $9. Mardi Gras – If you are by chance in town for Mardi Gras (the next dates are Tuesday, March 4th, 2014 and Tuesday, February 17th, 2015), you should visit the world-renowned Mardi Gras parade. Fat Tuesday, as it is otherwise known, is a legal state holiday that dates back to 1875. There are picnics, parades, floats, music, costumes, and food galore. The colors purple, green and gold decorate the city: purple represents justice, green represents faith, and gold represents power. Admission: free. 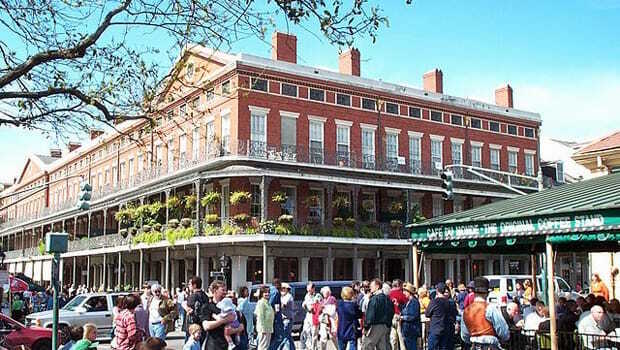 The Garden District – Visit the Garden District to go on a scenic walking tour through New Orleans. You will see some of the oldest and most beautiful homes in the state. Some of the homes and street names in the area bear architectural designs influenced by Greek mythology. While you walk, you can head on over to Magazine Street, the 6-mile central hub of antique shops, restaurants, and clothing stores in the Garden District. Admission: free. Ogden Museum of Southern Art – This museum is a must-see to learn more about Southern culture through various art forms. Paintings displayed at the Will Henry Stevens exhibition, which is a permanent collection, feature the artist's spiritual connections with elements of nature in the American South. Other exciting exhibitions include The Mythology of Florida and Annie Collinge: The Underwater Mermaid Theater, which highlights thought-provoking images captured by prominent photographers. Admission: $10. On Thursdays, admission is free for Louisiana residents. New Orleans Wax Museum – Located in the French Quarter, this museum will take you as far back as 300 years to the time of the French Creoles, where you will see realistic wax figures of local legends, including famous musician Louis Armstrong, war hero Andrew Jackson, French conqueror Napoleon Bonaparte, and Mardi Gras Zulu King Weatherspoon. Don't forget to visit the Haunted Dungeon after you visit the historical exhibit. The tour lasts about one hour. Admission: $8. New Orleans Zephyrs – Come watch a game of minor-league baseball, a great American pastime. The New Orleans Zephyrs have a good track record, winning the 1998 Pacific Coast League championship, Triple-A World Series, and earning the co-champion title in the 2001 Championship Series. Keep an eye out for special offers or activities during the game such as Baseball Bingo, Fireworks Show, or Triple Play Taco Tuesday, which includes an upper deck ticket, taco and soda for only $10. Daily general admission in the levee area: $8.